NSW coach Daryl Gibson says the pressure on him is not going to vanish despite the Waratahs' gutsy 29-26 win over Queensland in a gripping interstate stoush at Suncorp Stadium. 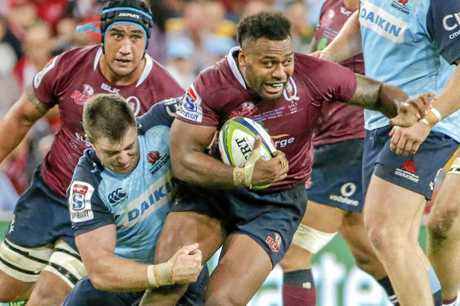 After the shock loss to the Kings last week, Gibson and his troops were under the pump but they responded with a hard-fought victory over the energised Reds who scored four tries to two and had 27 phases at the Waratahs defence in the dying minutes. 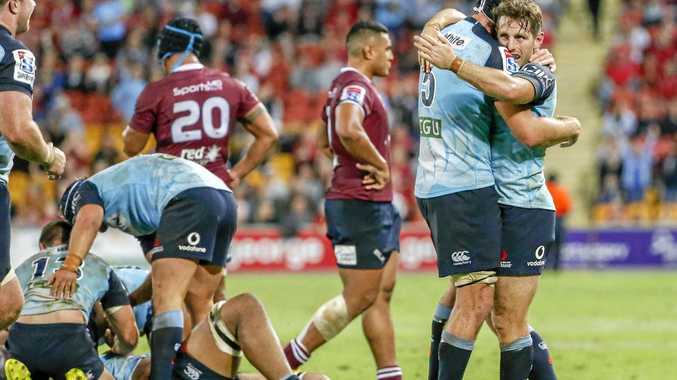 NSW claimed its seventh straight win over Queensland off the boot of flyhalf Bernard Foley who slotted two conversions and five penalties from eight attempts for a personal tally of 19 points as he cashed in on the 16-4 penalty count in favour of the visitors. His last penalty put the Waratahs in front with less than two minutes left on the clock. Gibson said the Waratahs played with "commitment, urgency, real intent to represent the jersey with pride". "It's a big win for us. You can tell by the feeling in the dressing room. It's a massive boost for us given where we have been," he said. "Not at all (does the pressure lift). Every match I go into as a coach I feel the pressure. The pressure to perform and make sure the team performs to the level they should be. "We've had a wonderful opportunity tonight to really gain some momentum." While Reds counterpart Nick Stiles was upset with the penalty count that he said influenced the result, Gibson said he was not prepared to enter the debate. "Every match you play, the referee has an influence... I thought it was an excellent match, it was very close, it could have gone either way. You are always going to get matches where it's going to be tight and contentious," he said. "It was an excellent game. It had real intent from both teams ... the second half I thought we really dominated territory and possession. "We managed to hang in... some wonderful pressure kicks from Bernard Foley got us across the line." Waratahs captain Michael Hooper said there was a "sweetness" to the win. "Because it was so tight there's an extra bit of sweetness to it. Both teams needed a win, really happy with the weight on the shoulders to get the win," he said. 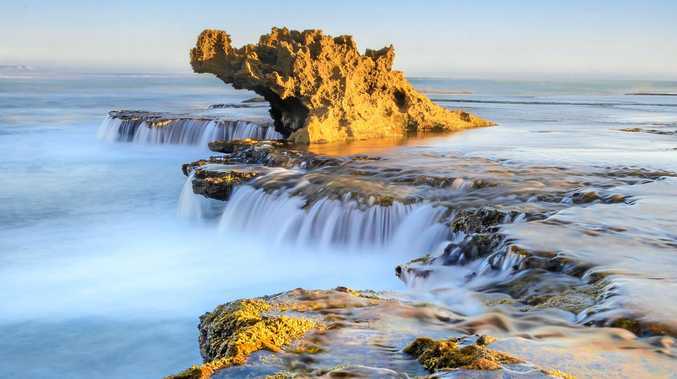 "Isolated, it's a nice thing. Now it's time to take the momentum from that and move forward. "We played last Friday, had a really tough weekend, had a hard look at ourselves and then you've got to aim forward, that's the thing with this comp."